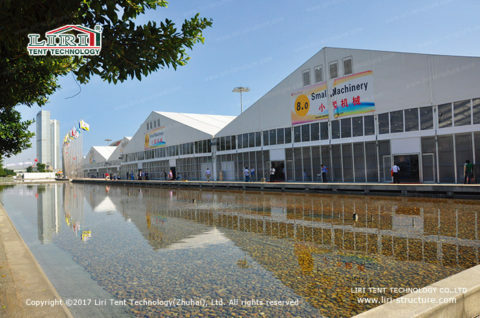 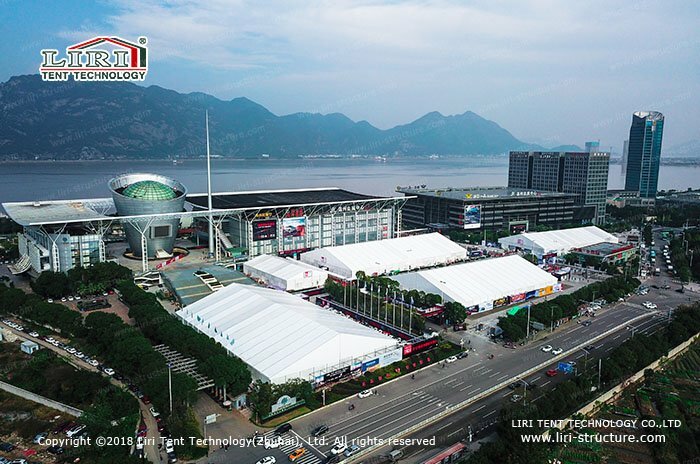 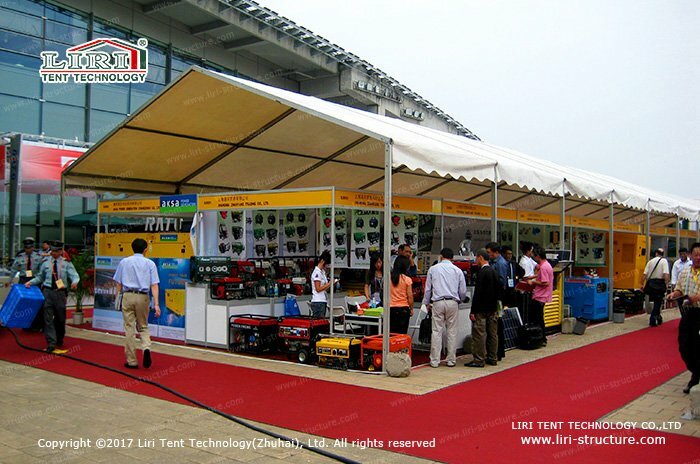 Since becoming the tent supplier for Canton Fair, Liri tent keeps providing the exhibition tent to Canton Fair with a quality service for over 10 years. 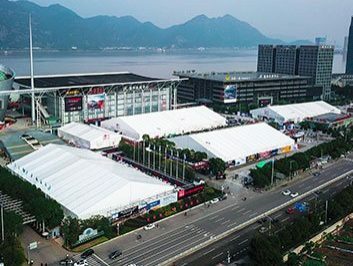 China Import and Export Fair, also called Canton Fair, was founded in Spring of 1957. 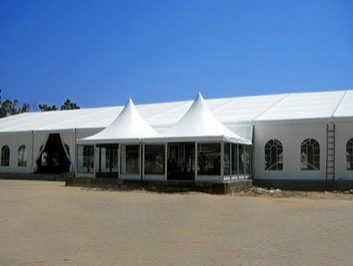 The fair is held twice a year, in Spring and Autumn, and has a history over 50 years. 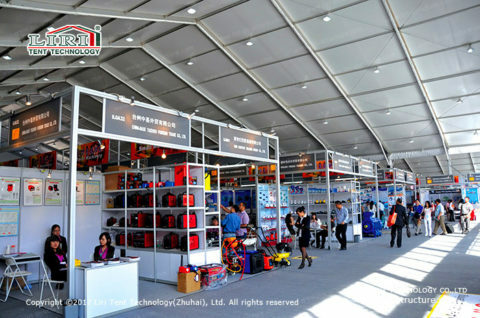 It is the largest s comprehensive international trade fair with good transaction turnover in China. 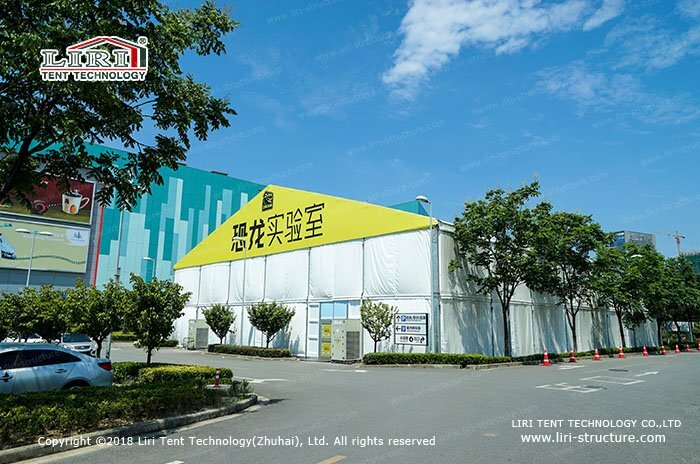 Liri Tent will provide different types of tents to Canton Fair, especially the 40m and 60m huge exhibition tents with 6m height are very eye-catching, also with huge interior space and sides with clear windows make the inside bright, which is very suitable for the large exhibitions. In the past, the permanent exhibition halls were time-consuming for the construction and occupying large land resource, because it cannot demolish after the exhibition. 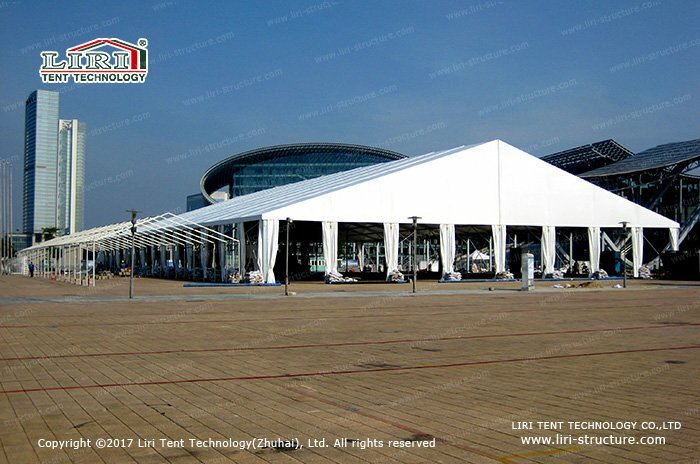 While for the exhibition tent, it is easy for the installation and also the dismantling, and the fabric is foldable, and the volume of the frame is small after dismantling. 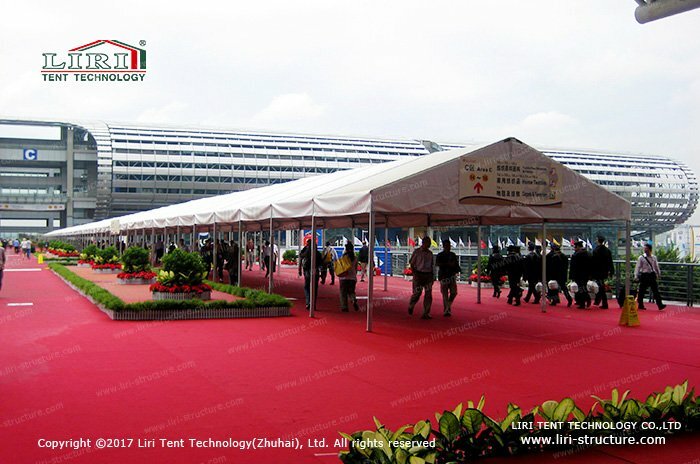 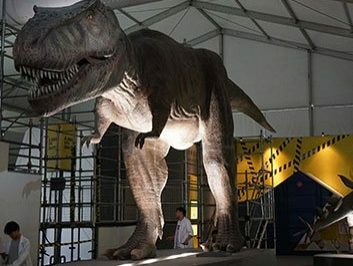 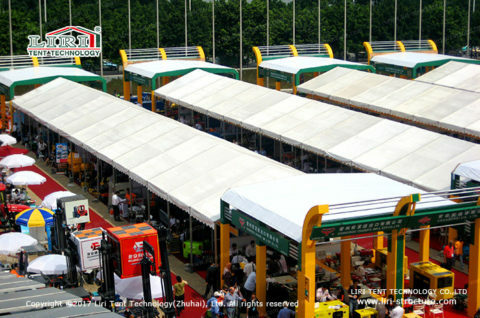 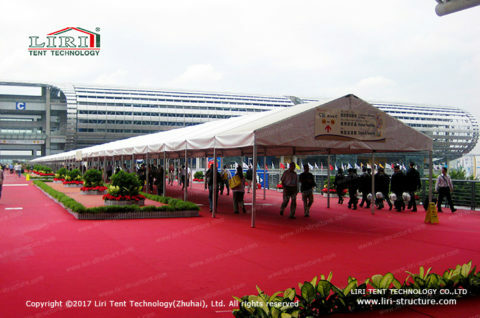 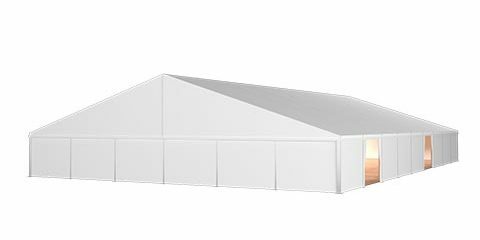 So exhibition tents are very convenient for the transportation and storage, no occupying land, flexible and recyclable. 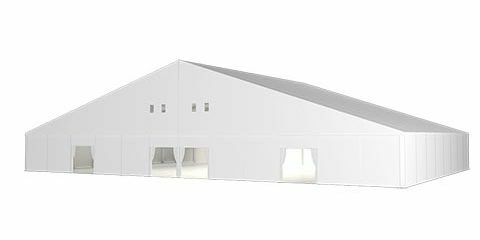 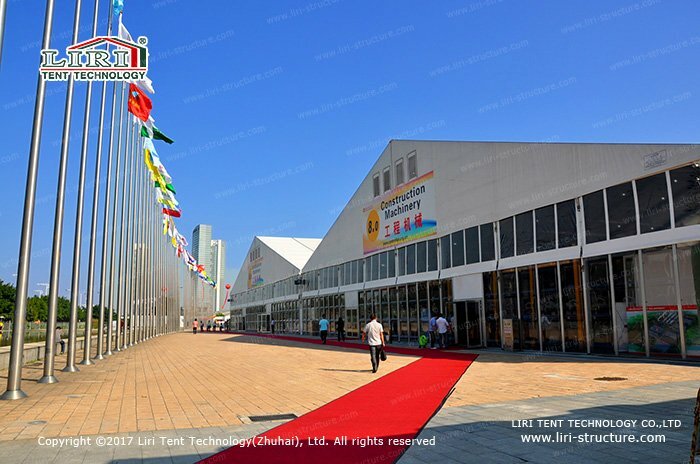 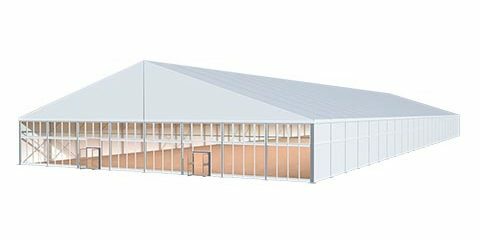 Liri’s Exhibition tent is with same functions as the permanent exhibition hall, moreover, the appearance of the tent is more beautiful, elegant and modern. In terms of security, it is good for wind-loading and obtains the relevant certificates, it is stable and safe. 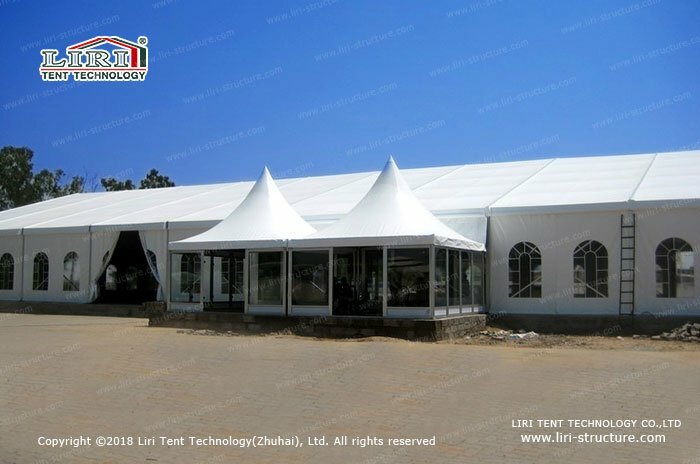 In addition to the exhibition, our outdoor marquee tent is widely used for outdoor party, wedding and so on, and showing the excellent aspect of our tents. It can provide the client with a better outdoor place.